CLOSEOUTS. 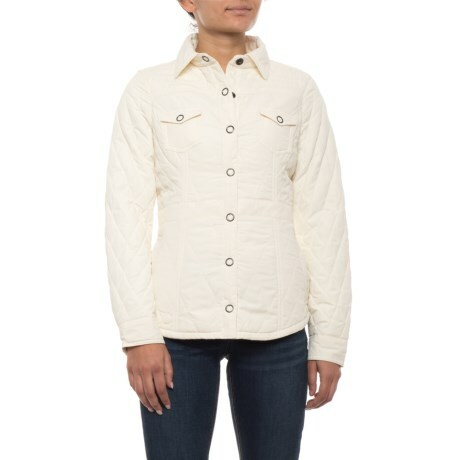 Aventura Clothingand#39;s Daria jacket is perfect for transitioning seasons with its light insulation, and it offers the classic style of a quilted diamond shell. Available Colors: WHISPER WHITE. Sizes: S, M, L, XL.